SAINT PETER, Minn. – The Gustavus women’s soccer team is excited to be hosting two different residential camps this summer. Head Coach Laura Burnett-Kurie and the Gusties will host a Co-Ed Youth Soccer Camp, ages 8-17 (June 23-26), and a high-level High School Girls Camp, grades 9-12 (July 7-10). CO-ED YOUTH CAMP, June 23-26: For the past four summers, our Gustie Soccer Co-Ed Youth Camp, run by IN2 Soccer, has been a positive resource for soccer players in Minnesota. All campers will receive quality instruction, experience a positive learning environment and have fun during the week. Each session focuses on individual skill training, progressing from drills to small-sided games. We encourage players from various backgrounds and abilities to attend as we always strive to keep camp numbers smaller to allow for individual attention and coaching from our qualified staff. 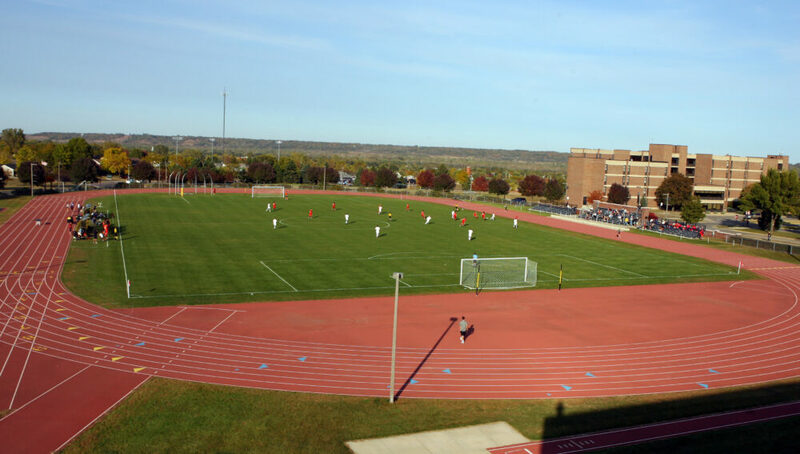 HIGH SCHOOL GIRLS CAMP, July 7-10: The Gustavus Adolphus College Women’s Soccer Summer Camp, run by IN2 Soccer, is designed to provide an environment for players who aspire to improve their skills through advanced player development and exposure to NCAA collegiate coaches. A combination of individual and team focus with an emphasis on speed of play, technical development and improvement of tactical understanding will be at the core of the camp curriculum. NEW IN 2019: We work to provide new and innovative training styles into our summer camp every year to ensure our campers are receiving the best coaching and soccer experience. This year we will be implementing the Celtic Football Club’s methodology into our camp training. Through the Celtic Way, campers will improve their technique, performance and engagement through exposure to the Celtic Way, which focuses on technical development, specifically the “Celtic Turns”, ball mastery, awareness, and control. REGISTRATION: Camp brochures along with additional information can be found at GACsoccercamps.com, including online registration (note there is a non-refundable credit card fee if you pay online).